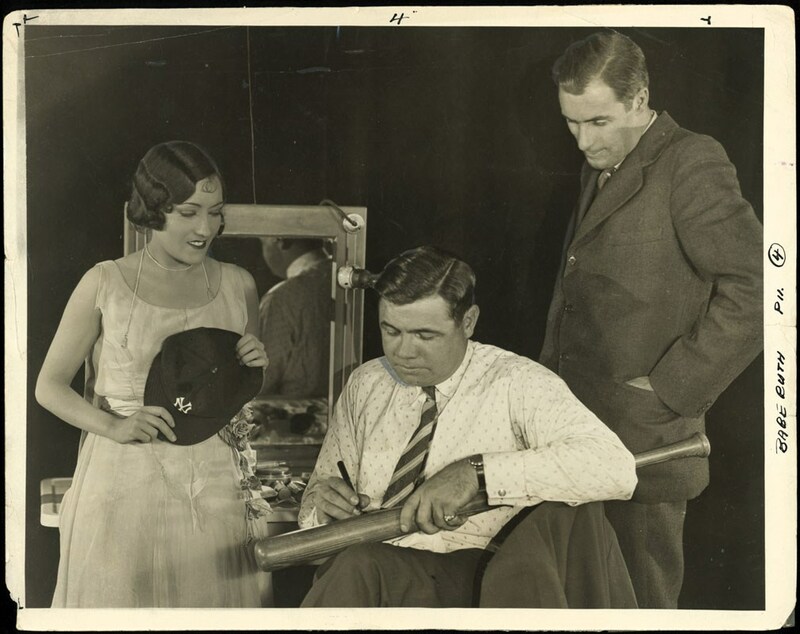 Did you ever wonder what ever happened to the bat Babe Ruth is signing in this marvelous 8" x 10-1/4" photo? 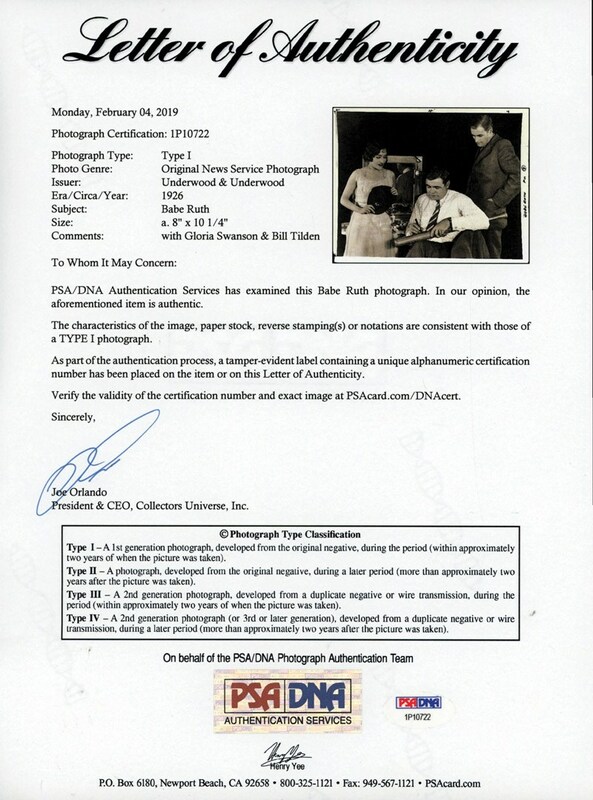 Taken in 1926 by the renowned Underwood 7 Underwood News Service, the possibly unique image portrays the "Sultan of Swat" signing his colossal lumber as the immortal actress Gloria Swanson (holding a Yankee cap) and International Hall of Fame Tennis legend Bill Tilden look on in an almost awestruck manner. Such was the unparalleled popularity of George Herman Ruth who, synonymous to adoring youth fan base, could easily captivate even his Hollywood and Sports peers. 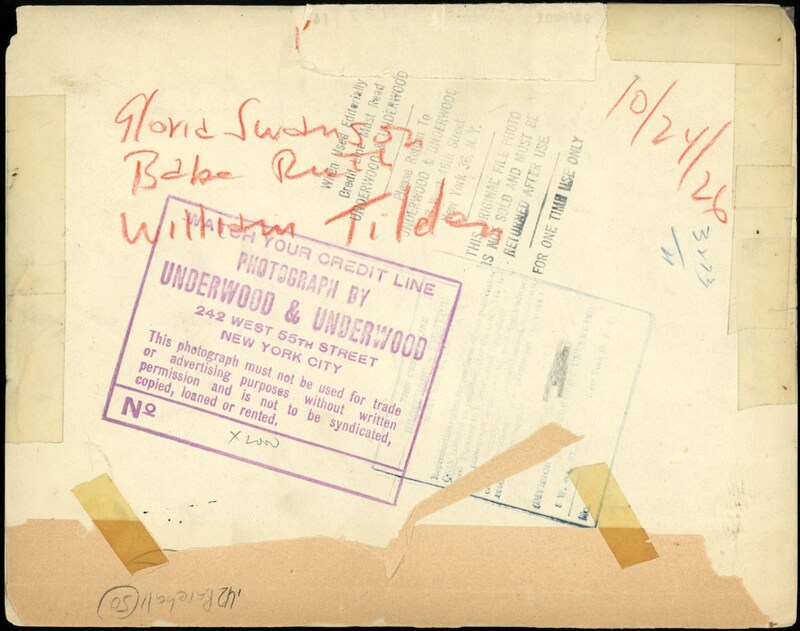 While we may never know if the bat was gifted to either Swanson or Tilden, what we do know with 100% certainty is that it resides as one of the most obscure and imposing Ruth photos extant.